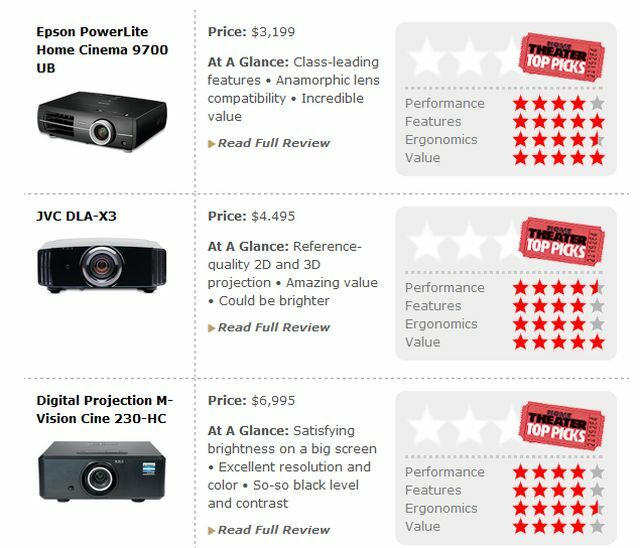 There are three steps to enjoying the right projector in your home: choosing it, buying it, and setting it up. For a truly huge image, a front projector is the only way to go. Based on DLP, LCD, or LCOS technology, this is where to look for the biggest of the big screens. We'll help with tips for each step, starting with our top picks in three different price ranges. Wondering what to buy and how to set it up for best performance? 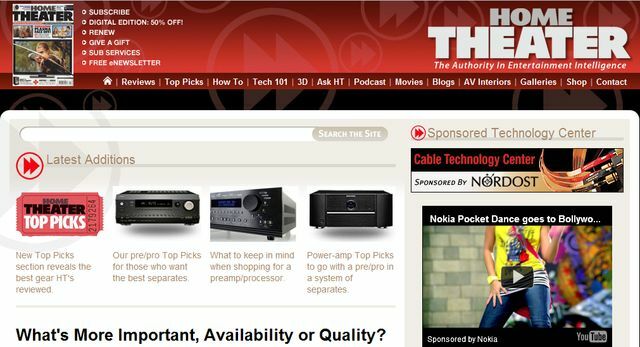 Look no further than Home Theater's Top Picks in the linked pages below! Once you determine your budget, take a look at the reviews of products in that price class, any of which are worthy of your hard-earned dollars. Products that get pushed off the list by newer entries will be designated Former Top Picks. These products are still superb and every bit as worthy of consideration as they were before, though they might not have the latest bells and whistles, or they might only be available on the used market. We also provide links to articles that explain the technologies and features found in these products as well as what you need to know when you enter a store. Then, we show you how to connect and configure that new purchase to get the best possible performance from it.